There's a lot of exciting things going on here at BGIE, including the opening of two new shops. The first to open will be our Destin location, opening in the Harborwalk Village. The views from the store seem unbelievable, being able to see the water as you walk along the top deck. Part of the team is down there currently, helping set up the new store. I get more excited with each picture they send. The process of opening a new store is always exciting. Ryan and Jr. took a trip in December to check out the potential locations in Destin. They came back with an enthusiasm for the area, but also an excitement for a newly discovered musician, that has now been added to the greatest hits for BGIE. Not everyone would be brave enough to put Hip-Hop in the same playlist as Canadian Lumberjack Folk Music. This musician has the ability to create a spontaneous BGIE dance party. While visiting a Dave and Buster's location on their trip, they were mesmerized by the music videos playing in the background. 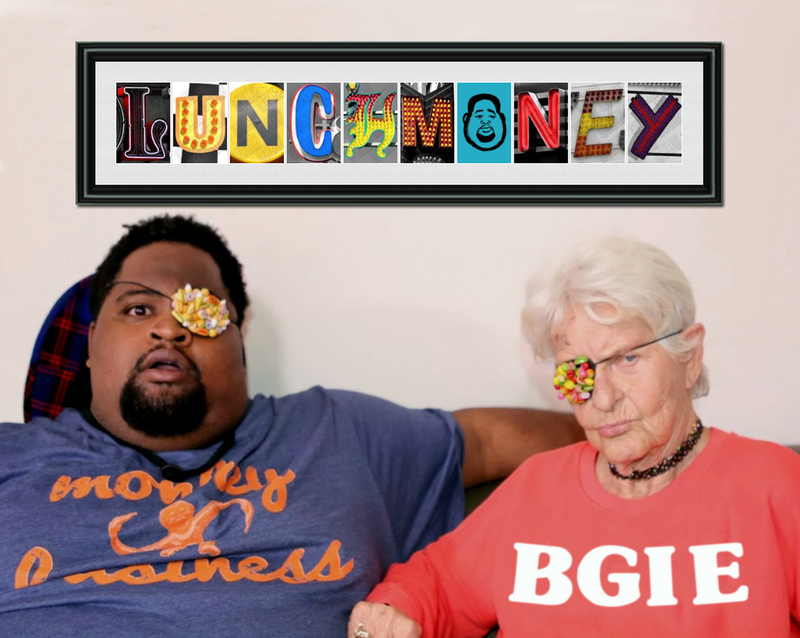 They immediately searched on their phones to find out more about the man in the videos and found that it was a man that goes by the name of "Lunchmoney Lewis." He's been compared to Cee Lo Green but in my opinion, he's much catchier. So in an attempt to educate the BGIE family about Lunchmoney here are 8 facts that we feel you should know about him. -2. He grew up in Miami, FL and still calls it home. -3. His father and uncle were also in the industry, both members of the Reggae band Inner Circle. -4. He was given the name Lunchmoney by the music producer Salaam Remi when he was still a teenager. If you're not familiar with the name Salaam Remi, you're probably familiar with his work. He's worked with artists such as Amy Winehouse, The Fugees, Carlos Santana, Nelly Furtado, and Nas. -5. Lunchmoney Lewis collaborated with artists such as Pitbull, Meghan Trainor, Nicki Minaj, and Thomas Rhett. He has stated that he "aims to be the best collaborator." If you're thinking that country singer, Thomas Rhett doesn't fit the rest of the mix, you'd be correct. Lunchmoney has stated that he doesn't discriminate on types of music, having grown up listening to all genres. -6. In an interview, he named Purdy Lounge and Bardo as his favorite hangouts in Miami. If I find myself in Miami, I know where I'm headed. -7. His song Bills, topped the charts in Australia and hit top ten in New Zealand, United Kingdom, Ireland, and Belgium. The fact that it didn't climb the charts in the United States makes me question our musical choices. -8. I saved the best for last. The fact that Ain't too cool was released on December 11, both Ryan Martz and my birthday, cannot be a coincidence. I'm willing to bet after listening to this song, that your foot will be tapping if you're not fully dancing. Take a minute and enjoy the video. It's worth it. The first time I saw this video, I thought, "Wow, how did they get this woman to dress like this?" Here's the best part, there was no convincing, she's wearing her own wardrobe. If you're up on social media you might be familiar with her, but if not, let me introduce you to Baddie Winkle. She goes by the tagline, "stealing your man since 1928". Her followers on Instagram alone, total more than 2.8 million. At 88 years old, I think she proves it's never too late to have fun.